Are you bothered by crooked, uneven, or widely spaced teeth? Invisalign® is an innovative treatment option that straightens teeth and closes gaps with greater comfort and discretion than traditional metal braces. To receive a personalized consultation for Invisalign, visit Dr. Nadja Horst at 601 Dental Studio PA. 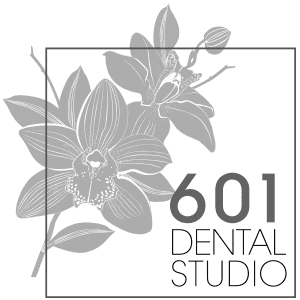 Serving adults in Pembroke Pines, Florida, (servicing surrounding areas such as Miramar, FL., and Cooper City, FL.,) Dr. Horst offers general and cosmetic dentistry services with state-of-the-art technology and luxurious amenities. Call now to book an appointment or schedule one online today. Invisalign’s clear braces are a teeth-straightening system that offers comfort and convenience not typically associated with metal braces. By using a series of transparent, removable dental trays, Dr. Horst can help you achieve a more balanced smile and straighter teeth. She begins by taking impressions of your teeth, which she then sends to a lab. There, they create a custom treatment plan, along with the clear plastic aligners. You wear each set of aligners for about 1-3 weeks, gradually shifting your teeth with each set. Throughout the process, Dr. Horst checks on your progress to monitor the movement and health of your teeth. A typical treatment plan generally takes the same amount of time as traditional braces. Most Invisalign patients need to be in good oral health, as the aligners can sometimes cause gum recession or worsen existing periodontal disease. To determine whether Invisalign is right for you, Dr. Horst gives you a thorough dental examination and answers any questions you may have about the Invisalign process. Additionally, most patients spend less time at the dentist for adjustments than they would with traditional metal braces, and there’s no tightening of uncomfortable wires. Want to learn more about how Invisalign® can enhance the alignment of your teeth and improve your smile? Contact Dr. Horst today to schedule your initial appointment for a consultation. Call or book online to get started.